On line Alarm Permit Application form. Permits are are required from Forest Fire Warden for all outside burning. Click here for the state requirements and information on applying for Outside Burn Permits. Download permit applications here . The Newbury Fire Department maintains a list of town residents who may live alone, do not have transportation, be elderly or disabled that the department will check on in the event of severe weather such as a blizzard, Ice storm or long duration power failure or other emergency impacting the Town of Newbury. The department is currently updating the list and adding new people who wish to be contacted. Following a major storm, a telephone call is made to check on the well being of people on the list. If the person can't be reached by phone, a fire department member will go to the home to check on the person. The First quarter of 2019 was mutch like the same period in 2018 with 92 calls for service during the months of January through March. There were 91 calls for the same period in 2018. For the First Quarter, Medical calls accounted for 29% of the total with Vehicle Incidents and False Alarms at 18% each, Public Service calls were 15% of the total. See updated monthly Response Summary below. Seasonal fire permits are now available for camp fires, fire pits and outside fireplaces. If you were issued a seasonal Category I (Fireplace/Campfire/Fire Pit) Permit in 2018, you can request a renewal permit by emailing your name, the location of the fire for the permit, phone number and email address to newburyfire@gmail.com. Please indicate Category I Fire Permit in the subject. A small controlled fire, such as a cooking fire. Must be contained within a ring of fire resistive material or in a portable fire place and cannot be greater than 2 feet in diameter. With approval from the Forest Fire Warden ONLY, a Category I Fire may be kindled at any time of the day weather raining or not. Category I permits may be issued as a seasonal permit, but may be suspended if the Forest Fire Warden or Deputy Forest Fire Warden determines fire conditions to be too dangerous. A controlled fire, such as a camp or cooking fire. Must be contained within a ring of fire resistive material or in a protable fire place. Cannot be greater than 4 feet in diameter. Must be at least 50 feet from a structure. A Category II Fire may only be kindled between the hours of 5:00 pm and 9:00 am. Category II permits may be issued as a seasonal permit, but may be suspended if the Forest Fire Warden or Deputy Forest Fire Warden determines fire conditions to be too dangerous. A controlled fire not contained within a ring of fire resistive material. A Category III Fire may only be kindled between the hours of 5:00 pm and 9:00 am. Category III permits can be issued formore than one day, but are not typically issued for more than 7 days depending on weather conditions. In Merrimack Category III fire permits may be issued for more than 7 days by the Forest Fire Warden of Deputy Forest Fire Warden ONLY. May be kindled during the day between the hours of 9:00 am and 5:00 pm even if it is not raining. The permittee must comply with additional special provisions to qualify for a Category IV Permit. A Category IV Permit is issued jointly between the State of New Hampshire Forest Ranger and the local Forest Fire Warden. Information on the permit requirements and the permits may be obtained at no charge from the Newbury Department or Newbury Forest Fire Warden or Deputy Wardens. Forest Fire Warden Attend State Training. The Newbury Forest Fire Warden and Deputy Wardens, along with their counterparts from surrounding communities attended the annual warden training this week at The Wilmot Fire Department. In preparation for the spring wildlands fire season, the New Hampshire Division of Forests and Lands provided information on the forest protection laws and regulations, the outside burning permit process and incident command structure for wildland fires. The presenters focused on the fact that fire permits are not required as long as there is snow on the ground (100 feet in all direction from the fire) but when the snow is gone, people wishing to have a camp fire or burn brush are required to obtain a permit from the Forest Fire Warden. With a permit, camp fires (Category I) can be kindled at any time but other burning (Category II & III) is restricted to 5:00 pm to 9:00 am. Permits (I & II) can be issued for a day at a time or for the season. See the poster below for additional information or click Learn More to go to visit the Newbury Fire Rescue website. Firefighting Training at New Hampshire Fire Academy. Classes were held in the Academyâ€™s burn building where the conditions of a building fire can be simulated in a safe environment. Firefighters worked with hose lines to extinguish interior fires and simulated rescues of trapped building occupants. In a medical or other emergency a few minutes of extra time it takes Newbury Fire Rescue to locate your home could be critical in saving a life. Newbury town ordinance requires that your home's street address must be clearly visible from the road. Where the numbers on the house cannot be seen, the address is to be posted on a mail box, tree or post at the end of the driveway. The numbers should be reflective so they can be quickly seen at night. When you call 911 at night, always put on porch or other exterior lights. Let the 911 dispatcher know if the house is difficult to find, such as down a long driveway. If possible, someone should be waiting by the door to guide the responders to the emergency, especially when there is more than one entry door. For your safety as well as that of the emergency responders keep driveways, walks and steps shoveled and sanded when necessary during the winter months. One of the challenges of being a parent is arming your kids with the skills to handle the obstacles life presents. Teaching them how and when to use 9-1-1 in an emergency could be one of the simplest most important lessons youâ€™ll ever share. Please remember an emergency is defined as a threat to life or property. For non-emergencies, callers should contact their local police or fire department non-emergency business number. Post your address and phone number near each phone in your home as visitors and family member may need to relay this information. Remain calmâ€¦ be precise and tell the dispatcher exactly what is happening and what the emergency is. Give the dispatcher the location of the emergency and the phone number. Stay on the line and answer all of the dispatcherâ€™s questions. Donâ€™t hang up until the dispatcher tells you it is okay. The proper use of a cell phone in emergency situations. Teach your child how to get to the dial pad (from the various screens) on your cell phone. Teach your child to push 911 and then the "call" or "send" button in an emergency. Explain the seriousness of making the call and that it will result in a police officer, firefighter or emergency medical technician coming to the scene. Discuss landmarks. If a child doesnâ€™t know their location they should be able to describe their surroundings (street signs, highway mile markers, buildings, etc). Doing laundry is most likely part of your every day routine. But do you know how important taking care of your clothes dryer is to the safety of your home? With a few simple safety tips you can help prevent a clothes dryer fire. Make sure you clean the lint filter before and after every load of laundry. Remove lint that has collected around the drum. Make sure the air exhaust vent pipe is not restricted and the outdoor vent flap will open when the dryer is operating. Once a year, or if you notice that it is taking longer than normal for your clothes to dry, clean lint out of the vent pipe or have a dryer lint removal service do it for you. Keep dryers in good working order. Gas dryers should be inspected by a qualified, licensed professional to make sure that the gas line and connection are intact and free of leaks. Follow the manufacturerâ€™s operating instructions and donâ€™t overload your dryer. Mulch is a combustible material that can be easily ignited by improperly discarded smoking materials. Hundreds of small and large fires are started this way every year. What starts as a small outdoor mulch fire can quickly spread to buildings. A mulch fire can be well underway before someone notices or is alerted by smoke alarms or sprinkler systems activating. Regulations prohibit the new application of mulch within 18"around combustible exteriors of buildings, such as wood or vinyl, but not brick or concrete. Use non-combustible mulch such as rock or pea stone around gas meters and combustible portions (wood, vinyl) of your home. If you smoke, remember to properly extinguish and dispose of all smoking materials. Do not discard cigarettes in mulch or potted plants. Be smart in your choice of containers for discarded cigarettes. Consider using metal cans with sand for outdoor disposal. Mulch that is piled more than a few inches high can build up heat and spontaneously catch fire. In many mulch fires, the smoldering mulch tunnels under the surface and then breaks out into open flame. The Town of Newbury Alarm Ordinance requires all homeowners and businesses with fire and security alarms that are transmitted to an alarm company central station central station to obtain an alarm permit from the Town of Newbury. The ordinance also specifies that alarm companies that monitor these alarms be permitted by the town. The permit requires complete contact information including local contacts (key holders) for out of town owners, this information is available to dispatch and the fire department so quick access can be gained to the building by someone who has a key in the event of an alarm. The ordinance also specifies that any property that has more than three false alarms in a 12 month period be assessed a fine. The amount of the fine increases for additional alarms once the minimum has been met. Since the ordinance was implemented several years ago, the number of false alarms that Newbury Fire rescue has responded to has significantly been reduced. The permit application process is easy with an on-line application on this website by clicking â€œAlarm Applicationâ€� in the green box this page. The Safety Ordinance page provides complete information on the Newbury Alarm Ordinance. You may also update contact information on the website form. There is no charge for the fire alarm permit. Alarm companies that instll, service and monitor fire and security alarms at residences and businesses in the town of Newbury must have a permit from the Newbury Police and Fire Departments.There is no fee for the permit. The Newbury Alarm ordinance requires the permiting of security and fire alarms monitored by an alarm company central station. Under the ordinance, the company that installes, services or monitors an alarm must apply for an Alarm Company Permit.Under the ordinance, unpermitted alarm companies operating in Newbury are subject to a $100 fine. There are now two ways to apply for a fire and security alarm permit in Newbury. The permit application can be completed online (click below in the Online Permit Application) and the application will be electronically submitted to the Town of Newbury. You will be contacted when the permit is issued. 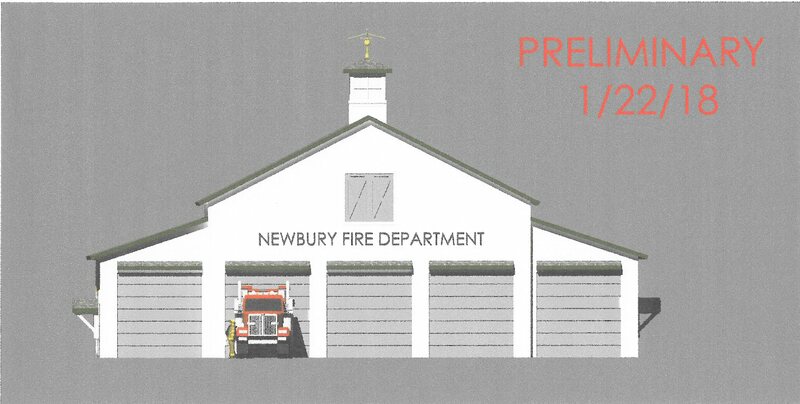 As in the past, you can still download and print the permit the application in a pdf file and fax to the Newbury Fire Department or drop off at the police department or town office during normal business hours. Please note that if you change alarm companies, a new alarm permit is required. Alarm permits can only be issued for alarm companies that are permitted by the Town of Newbury, applicants should verify that the alarm company has an Alarm Company Permit from the town. The on line form can also be used to update your contact information, such as cell and work phone numbers and the names of local contacts that have access to your home if you cannot be reached. If your alarm permit is over two years old, you may need to update your information so that we have the correct phone numbers in an emergency. The Town of Newbury Alarm Ordinance requires a permit for all business and residential central station fire and security alarms. 83 Car 1 is a 2018 Ford Explorer Interceptor SUV command car. 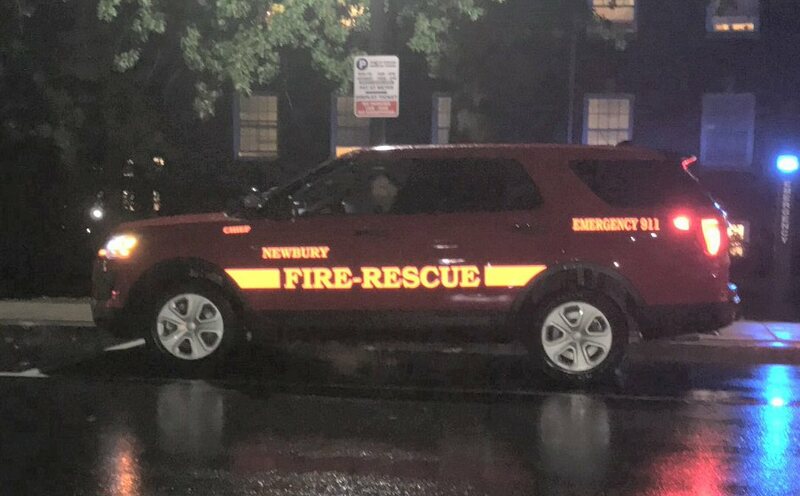 The car is used by the fire chief to respond to fire, emergency medical, rescue and other emergency calls as well as inspections, training and safety details. The car carries communications equipment, a reference library and services as a command post during larger incidents. Also carried is emergency medical and hazardous materials metering equipment. If you own a property in Newbury, are not always available to answer a call for a fire alarm at your property and do not have someone in the area that has a key to provide the Newbury Fire Department with access to your property. please consider installing a Knox Box. The Newbury Fire & Rescue Department is part of the â€œKnox Boxâ€� program for emergency building access. 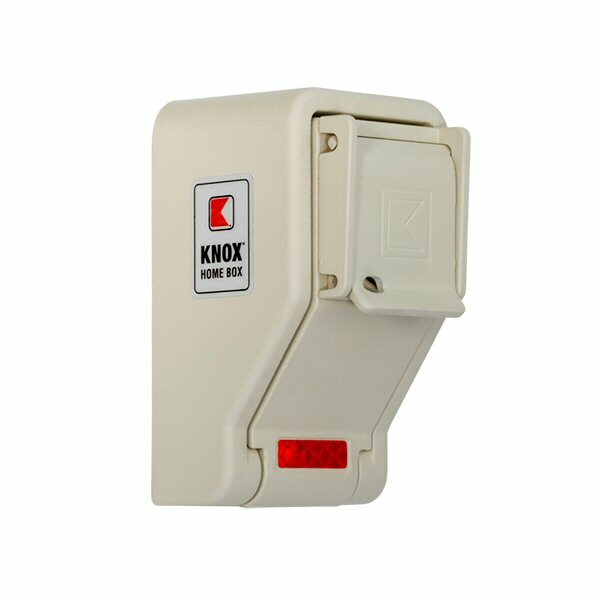 A Knox Box is a secure key box containing building keys affixed to the outside of a business or home. If a fire alarm is received or there is a report of other emergency when the building us unoccupied, the fire department utilizes special fire department key, that will open the Knox Box containing the building keys. This eliminates the need to break down doors or windows to enter the building or presume there is no fire when nothing is visible from the outside. The ability to thoroughly inspect a building will enable the responders to locate other problems such as electrical hazards, heating problems and gas and water leaks set off an alarm and could lead to costly other problems if not identified. The Knox Box system is only used to enter a building in the event of a fire department emergency response to an alarm activation or report of an emergency at the location. 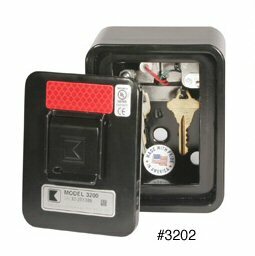 The fire department key is secured in special Knox Box on the truck that can only be opened by authorized personnel and all openings of the box are electronically recorded. Knox Boxes keyed to the Newbury system are purchased by the building owner from the Knox Box company and are installed in accordance with fire department specifications. Knox Boxes are generally installed at locations with Town of Newbury permitted central station fire alarm systems, where the Newbury Police and Fire Departments have emergency contact information. Building owners or their authorized emergency contacts are notified of every alarm notification and when the Knox Box is used to provide emergency personnel with access to the building. Emergency contact Information provided is kept confidential by the police and fire departments. New commercial, multi-family (4+), seasonal residences and gated properties are required to have a Knox Box as part of the building permit process. NH Alerts is a free service provided by the New Hampshire Department of Safety Division of Homeland Security and Emergency Management. Emergency and community messages are initiated by authorized public safety officials at the State level and severe weather warnings are initiated directly by the National Weather Service. The app delivers notifications to subscribers within a specific geographic area. If you are not receiving alerts through this application, you are not currently in an area identified with a potential public safety threat by the New Hampshire Department of Safety Division of Homeland Security and Emergency Management. NH Alerts is used by New Hampshire public safety officials to inform and protect State residents and visitors. The NH Alerts app is free and available at the App Store and Google Play. No registration is required. Users are encouraged to enable their GPS services so the app can deliver location-based multimedia alerts to subscribers within a specific geographic area. Users may visit the NH Alerts app settings to select the alerts they would like to receive. The Town of Newbury and five other towns in our area have contracted with the CodeRED reverse emergency notification system, which allows the town to call you in an emergency. If you received telephone calls or voicemail messages from Code Red in the past, you are registered in the Code Red system and no additional action is needed. You will automatically receive future Code red messages. Required information includes a street address (physical address, no P.O. boxes) for location purposes and at least a primary phone number. Additional phone numbers, email and text addresses may also be entered. Even if you have an unlisted phone number, you can safely register your phone number in the CodeRED database; the information will not be sold nor will it be used for any purpose other than emergency contact from the town. The C-5 business meeting is the first Wednesday of each month at 6:30PM in the New London New London Fire department training Room. 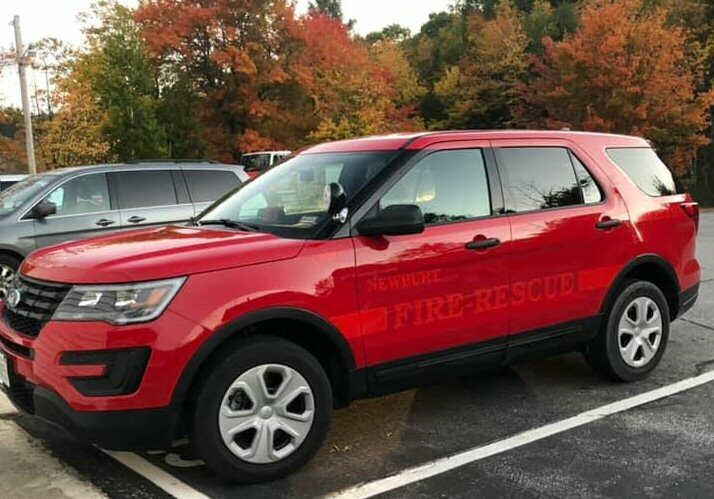 Newbury Fire Department Resident Emergency Information Form In order to better serve the residents of Newbury in the event of a fire, medical or other emergency, the Newbury Fire Department is in process of updating the street listing information. Please complete the attached form for our emergency response database print and mail to the Newbury Fire Department PO Box 373, Newbury NH 03255. We plan to be able to submit the forms electronically in the near future.